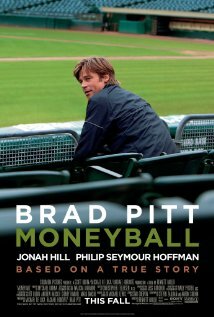 ﻿ @#$% What do critics know anyway? That's how I feel this morning after watching the Critics Choice Awards last night where Best Picture and Best Director both went to The Artist. Don't get me wrong, it's a fun movie and I thoroughly enjoyed it but at the end of the day I felt it was a gimmick movie that didn't reach the emotional heights or artistry of a film like HUGO. I had a feeling that since they were giving Scorsese a lifetime achievement in "Music & Film" they wouldn't give him Best Director as well but he certainly deserved it. It will be interesting to see if the Golden Globes follows suit this Sunday night. Thomas Horn won Best Young Actor (???) 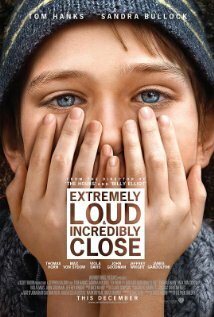 for his performance as Oskar Schell in Extremely Loud and Incredibly Close which I still haven't seen - it will be released 'wide' on January 20th. 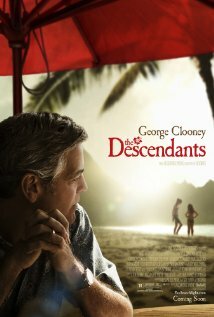 That was a bit of an upset since people have been raving about Shailene Woodley's performance in The Descendants. I'm praying the film is half as good as this incredible book from Jonathan Safran Foer. I found Horn annoying last night. Sorry! I know he's just a kid! Great news for The Help! The film won Best Ensemble for all those fabulous female performances. Best Actress for Viola Davis as Abilene and Best Supporting Actress for Octavia Spencer. While I still think Viola Davis is such an amazing actress that this role didn't really challenge her (plus I was rooting for Tilda Swinton in We Need to Talk About Kevin ) she gave such a heartwrenching speech that she completely won me over. I've reproduced it for you here. And she thanked novelist Kathrynn Stockett, the author. Classy. "I am absolutely so humbled," Davis said. "They say the two most important days in a person's life were the day you were born and the day you discover why you were born. And you know, five hours on the bus going to acting classes when I was 14 years old and coming from very challenging circumstances, I absolutely knew I wanted to be an actor because I wanted to be a somebody.... I consider it my honor to pay homage to these woman who in this time period were not allowed to dream, not allowed to find their purpose. But thank God, and praise God, that they gave birth to me, my mother, my grandmother. 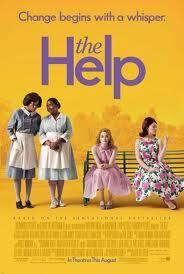 And I thank Kathryn Stockett for writing 'The Help.' "I am absolutely so honored to be in the company of so many women of so many sizes and ages and races, and to be a part of a story that is such an incredible part of American history, to show, you know what, despite the atrocities that have happened in the past, friendship and love can help us find our way. Thank you very much"